Are you always on twitter? 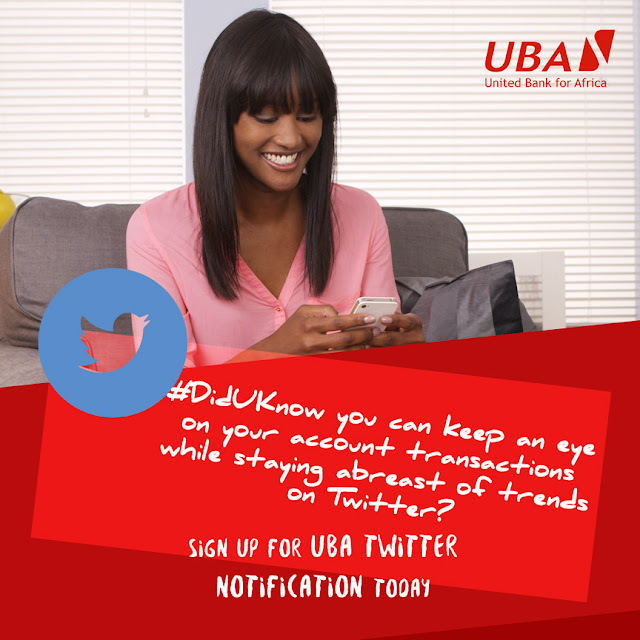 Here is a chance to also do your banking on twitter. UBA is giving its customers the option to receive their banking transaction alerts on their twitter handle as direct messages. It is an innovative first from the pan-African bank and currently the only bank in Africa to offer this service. 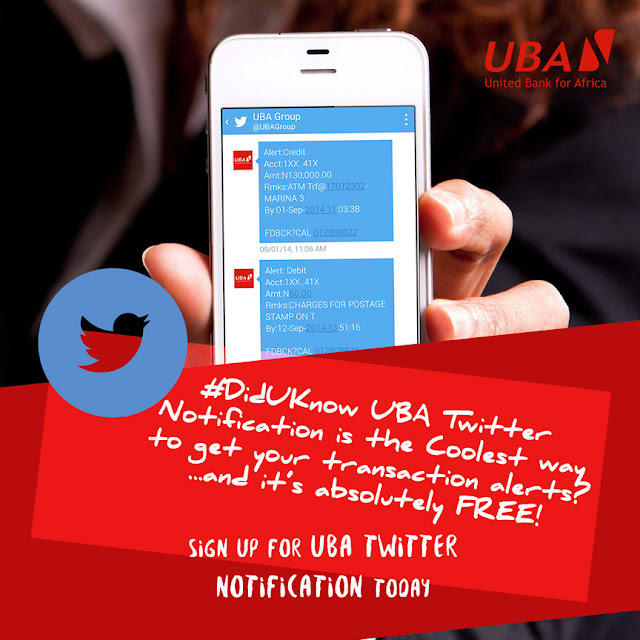 The UBA Twitter Notification Service is not a replacement to receiving SMS alerts but complements it for added convenience for all those who subscribe to the service. Follow the displayed instructions to enroll. Once this process is completed, the customer will start receiving transaction alerts securely. 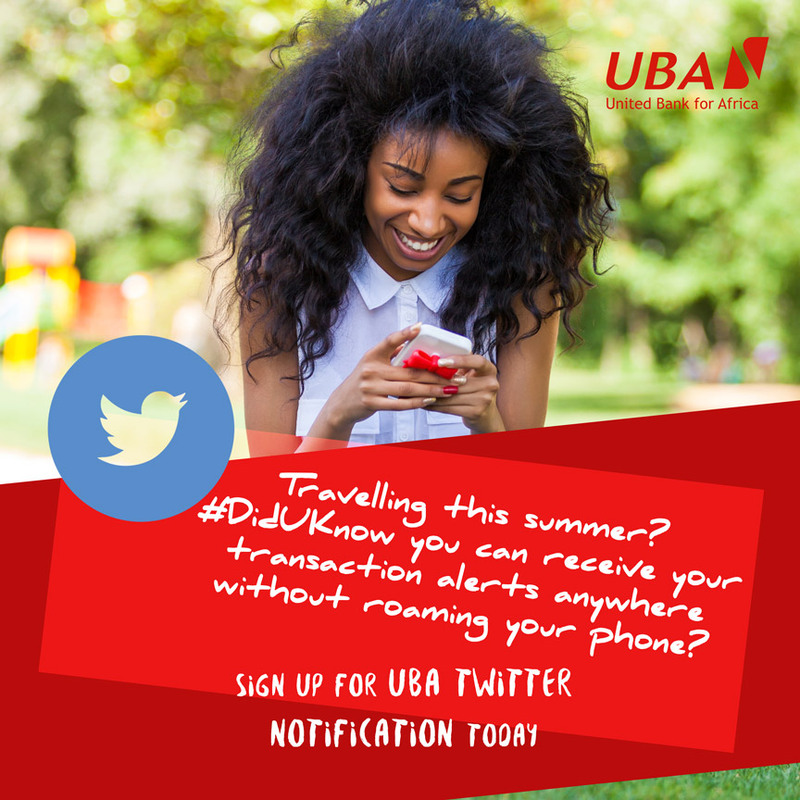 The alerts will only be seen by the receiver, since it goes into his or her direct message box, just like an SMS message going to a phone. 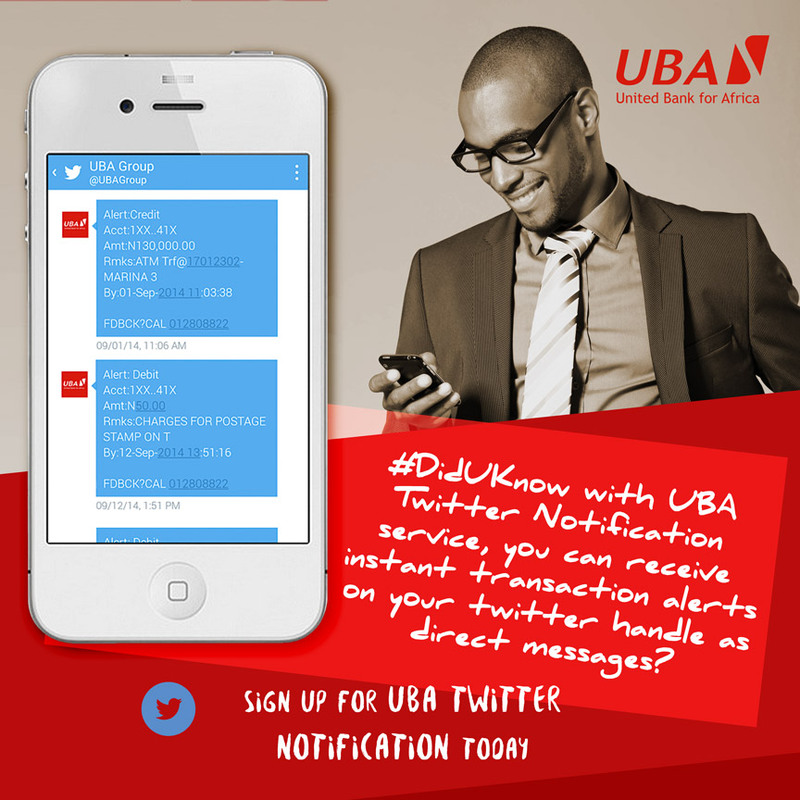 The introduction of this service reinforces UBA’s growing presence and engagement with its numerous customers on social media. UBA has been acknowledged as one of Nigeria’s leading banks in the social media space. With a customer base in excess of eight million, UBA has invested heavily in building a robust and secure e-Banking platform that supports its e-banking operations globally through strategic partnerships with various local and international organizations. The UBA Group is a highly diversified financial services provider, with business offices in New York, Paris and a subsidiary in London. A leading player on the African continent, UBA has significant market share and operations in 19 different African countries. The Group has a strong retail franchise across the continent offering its more than seven million customers a bouquet of products and services tailored to meet their different financial needs.